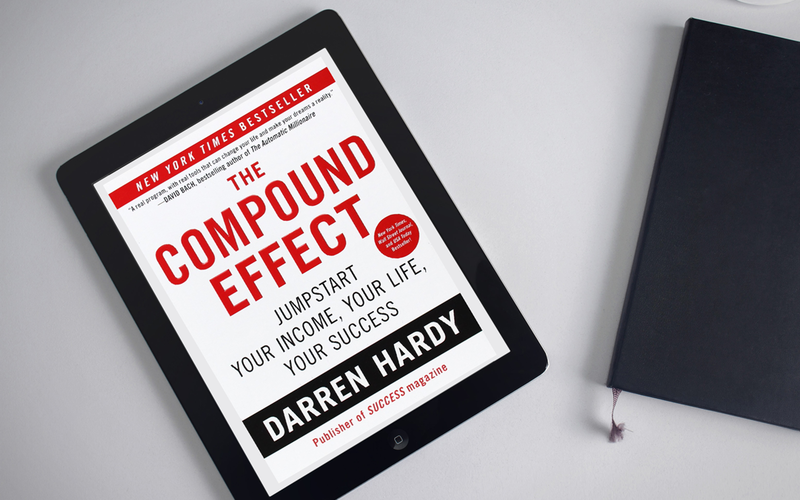 The Compound Effect – Multiplying Your Success One Simple Step at a Time by Darren Hardy. I was fortunate to interview Darren a few years ago when this book first released. I read a lot, and often go back to several great books time and time again for not only enjoyment, but also to reinforce what I know and to also discover new wisdom. This book fits that category. In the book Hardy lays out the argument that success is a built on several solid principles combined with good old fashioned work. Thank goodness! A book built on fact and not ‘get-rich’ hype that is sadly so pervasive in today’s instant gratification world. What you will quickly pick up as you absorb the pages of this book with pen and yellow highlighter in hand is that Darren does not mince words. His style is direct, concise and to the point. How refreshing. I felt like I was reading the words from a kindred spirit as I’m often told the same thing about my own writing style and live speaking programs. This book spoke to me as it’s based on a track record of achievement, and not theory. One of my favorite quotes from Darren Hardy’s book is spot-on!.